Camden Unison AGM will be on Thursday, 9th March 2017 at 3.30pm in the Council Chamber in the Town Hall. We will have Diane Abbott MP as a guest speaker, as well as a speaker from Derby on the teaching assistants’ dispute there. Please read the agenda here. Please click here for the agenda for our branch’s AGM. 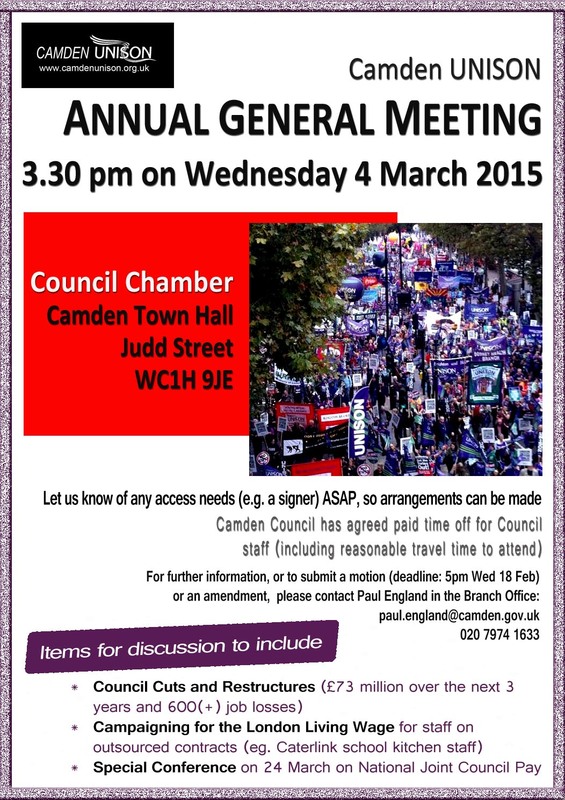 Please come along to the Camden Unison AGM, which will be held in the Council Chamber in the Old Town Hall from 3.30pm on Wednesday, 4th March 2015. Time off to attend has been agreed for council employees. Full agenda below. You can print off and display the poster on the right by clicking the image. 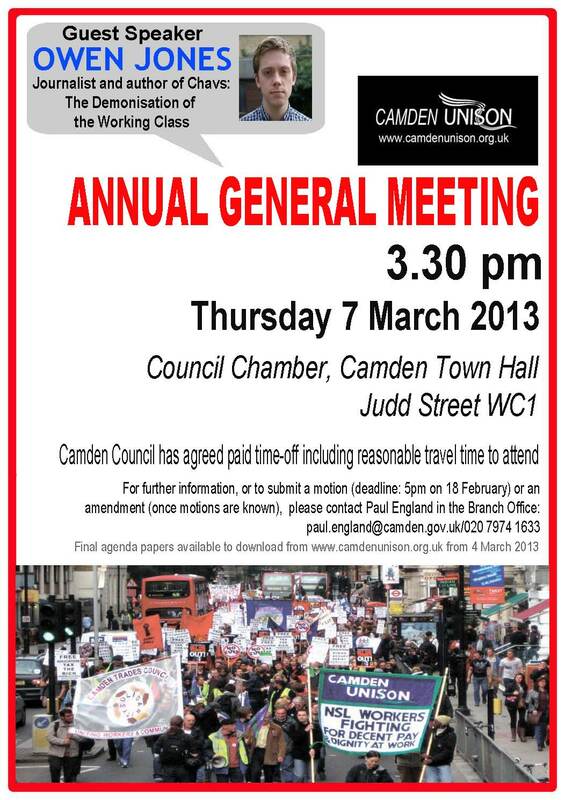 All members are encouraged to attend the Camden UNISON branch Annual General Meeting on Thursday 7 March at 3:30 PM in the Council Chamber of the Town Hall, with guest speaker Owen Jones. Paid time off for all council employees has been agreed, including travelling time. So please come along, bring some colleagues and feel free to print this poster to display on notice boards.